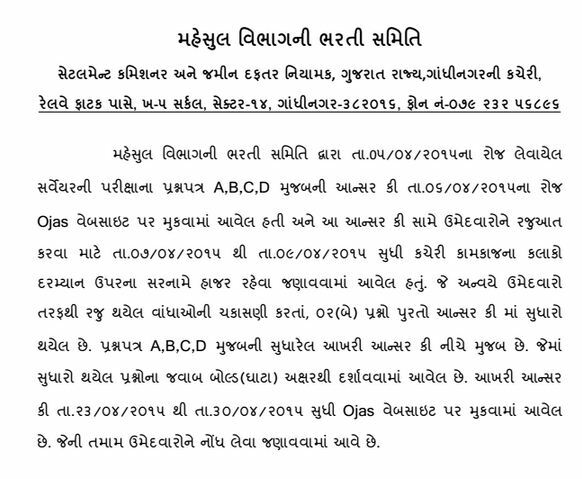 Settlement Commissioner and Director of Land Records (SCNDLR), Gandhinagar has issued Final Answer key for Surveyor Examination, 2015. This Examination was conducted on April 05, 2015. Candidates can download answer key through below link.